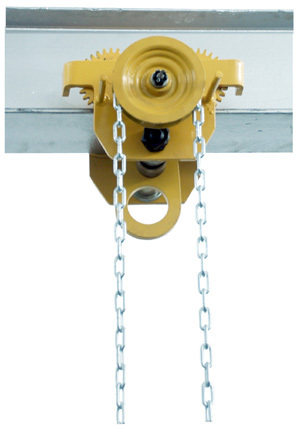 Geared trolley with chain is a simple and useful structure, easy for carry and operate. 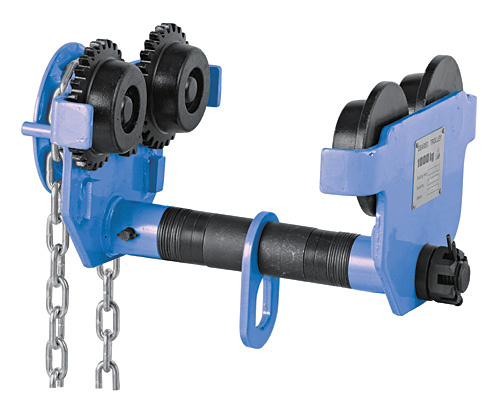 This type is driven by chain, it can be used together with Chain hoist or other lifting products to match the composition of lifting and transporting. It can freely run in a certain radius of curvature of the I-beam track along the upper and lower wings, installed in the straight or the curve of the monorail overhead transport line or manual single-beam bridge. 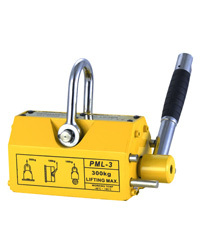 It is widely applicable to factories, mines, docks, shipyards, warehouses and computer room and other places to install machines, lifting goods, especially for locations with no power equipment installation. 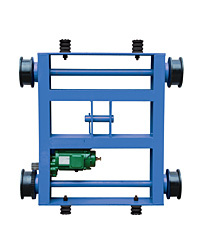 The Geared Trolley can be hung on the regular I-steel in various.it enables the exact positioning or easy traversing of large loads with either manual or powered hoisting equipment. Safety in use and convenience in maintenance. Compact construction and small dimension. 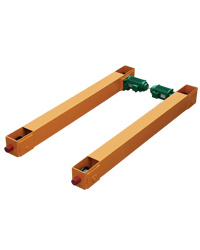 Span between wheels can be conveniently adjusted and is suitable for various I beam. 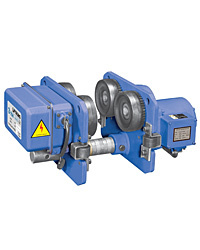 High efficiency in transmission and minimum hand-pull and can travel on bends of small radius. 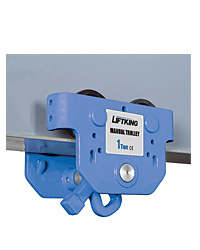 5) Standard anti-tilt and anti-drop devices.